If you’re seeking information or advice then our team are happy to help. Want help with your design? Want to know what types of system best meet your needs? Need a bespoke solution? Then please consult with us. We pride ourselves on the standard of service we provide to architects and designers, clients and main contractors, and as a result our business is built on long-term relationships. 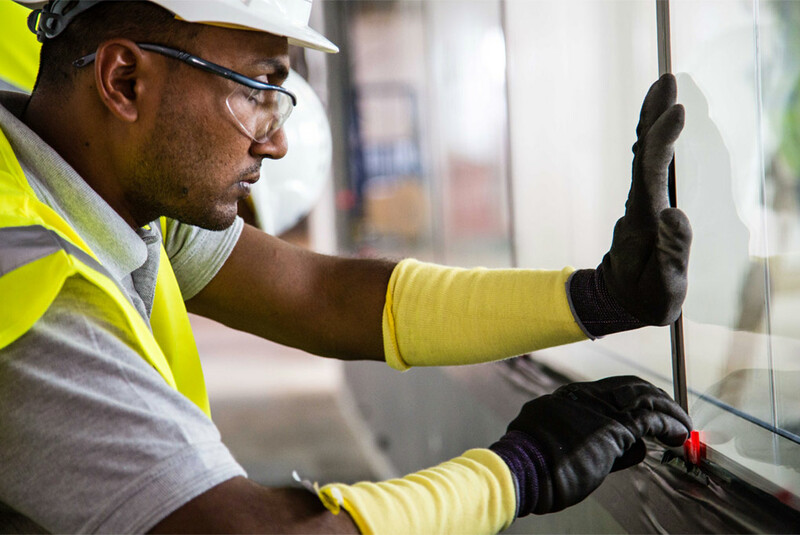 We have ISO accredited Quality, Environment and Health & Safety Management systems in place to ensure we deliver quality projects from beginning to end. We work with you to finalise the detail to meet your aesthetic and functional requirements. We will also advise on time and budget. We produce design and working drawings to confirm and clarify proposals at all stages. Business and office needs change, so if later you need more meeting rooms or hot desk space, our systems provide a flexible solution, they are demountable and relocatable and we have years of experience of working out of hours and in occupied offices to make sure your client’s business continues uninterrupted. We have our own workshops and storage and so we are able to control our own production and stock which reduces lead-in times. This means that we can react quickly to client requirements. Manifestation is used primarily for safety and privacy; however it is also being increasingly used to create stunning new environments with the smart use of light and colour. Contact Vosseler UK to discuss your creative ideas. We can supply and install joinery solutions to include wall panelling; tea points; copy/vending areas; reception desks; boardroom fit-out and A/V walls. We can source all types of finishes from laminates, back-painted glass, metal and solid timber. Please get in touch to discuss your requirements. 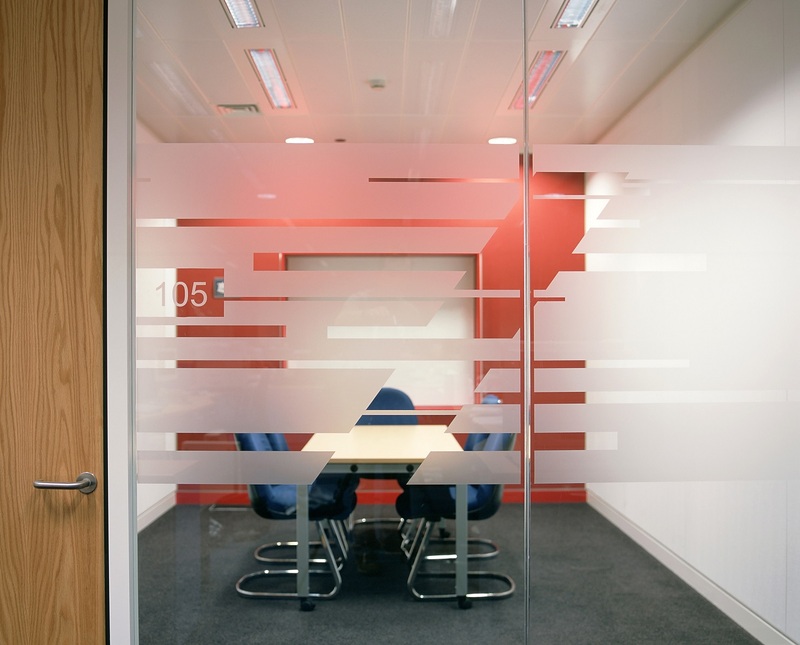 We can provide you with doors and frames of any type whether fitted in our partitions or elsewhere on your project. These can be bespoke timber joinery or “off the shelf” and in any finish. 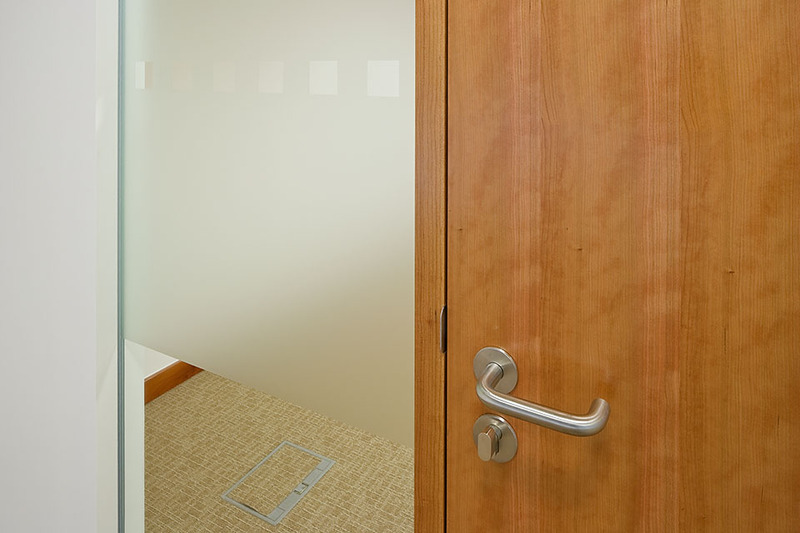 There is a wide range of doors we can source and install for every requirement. We offer a full range of blinds, in any colour or finish. Blinds can be integrated into partitions or for use in perimeter windows or other areas. Roller, venetian, and vertical; automated or manual are all available. Switchable glass is also available. Talk to our team if you would like a one-stop solution to your office refurbishment to include ceilings, raised floors and drywall construction using British Gypsum, Knauf or other proprietary systems. Still not sure which system suits you best? Visit our Interactive Product Guide.